In this session I’m interviewing the husband and wife team that run the GeekAtPlay studio website which is totally focussed on education for 3D digital artists. 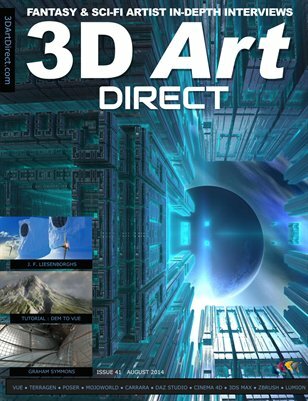 What delighted me most about Vladmir and Amy Chopin’s efforts for teaching 3D Digital Art applications is the sheer amount of content they provide. Today is May 3rd 2013, and I’ve just looked at their YouTube channel – GeekAtplay studio and I can see seven new videos uploaded just two days ago. Now admittedly, this is probably to do with the fact that Vue 11.5 has been released and Vladmir is showing what’s new for this version, so this is probably a few more than he would normally upload, but during our interview he mentioned he had created around 1500 training videos. 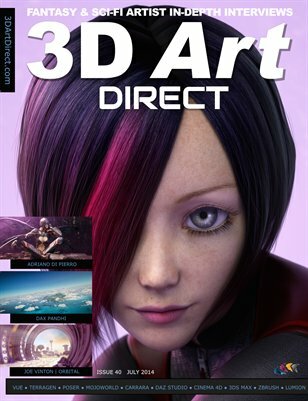 In fact GeekAtPLay specialise in Vue, so if you want to start digital art with creating 3D environments with a great sense of realism, you could download a trial or free version of Vue from e-onsoftware.com and start looking at Vladmir’s training videos on YouTube. Don Webster has made a career around images and digital technology. 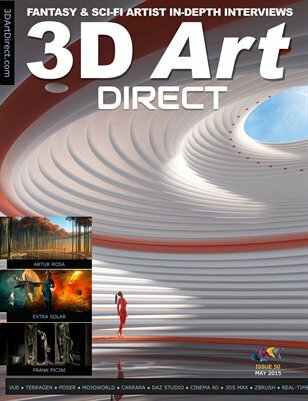 From his army officer days as an aerial surveillance officer in the 60s to an executive management position at a technology company in the 90s, he has built a diverse experience base uniquely suited to the field of 3D art. Don’s love of period history spanning multiple generations is a pallet of inspiration for a gallery of digital art to be envied. 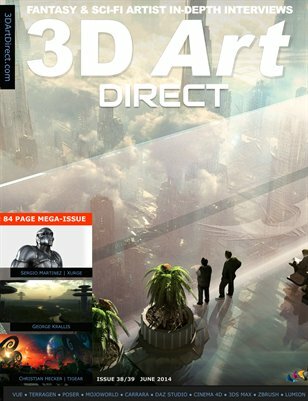 From the streets of Rome and the time of Emperors, to the battlefields of the American Civil War, Don has an eye for period art and uses a wide array of 3D tools to bring his vision to life. 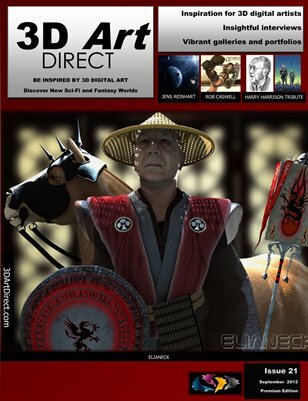 Barry Marshall teaches CAD, 3D Modelling and Photoshop at degree level in North West England. 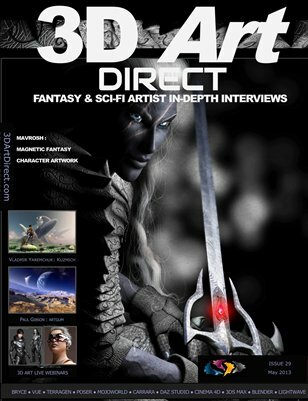 We interviewed him about his portfolio created through eOn’s Vue back in issue#5 and include the full interview here with some of the best pieces from his portfolio. 3DAD: Where are you from? What’s your background? BM: I was born In Rotherham South Yorkshire in ’64. As I was always interested in Technical drawing and Art I decided to do a combined degree in Industrial Design and Fine Art in York. “Of course people new to digital art will want to have places they can go to feel supported as opposed to being criticized. What newcomers need to be aware of though is that other artists will critique the newcomers work and the newcomer needs to be aware that those critiques are presented in the spirit of support, not as a statement of doing something wrong. 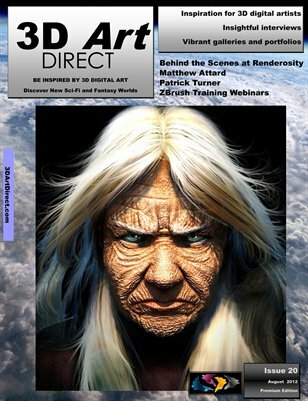 Ever wondered about the history of Renderosity, the staff behind the website and where it might be going next? 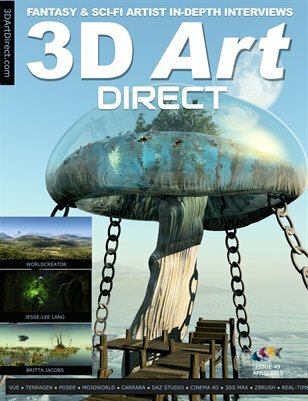 Discover more about this remarkable community of digital artists, which has grown tremendously since 1999. We are pleased to interview the business development and marketing manager at Renderosity, Tim Haaksma. 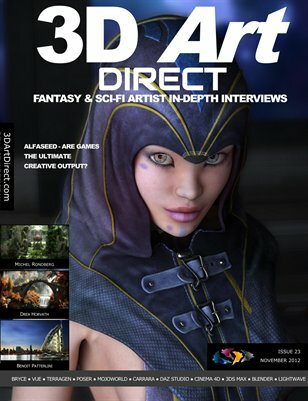 This month’s cover is a striking ancient female character named “Akeela” produced for the Reborn Computer Game created with ZBrush by Patrick Turner, who we interview this month. “I used to chase photo-realism when I was airbrushing. It was an easy way to know when I was finished – it looked like a photo. We know what that looks like. One day, someone asked, “Why don’t they just use a photo?” I didn’t have an answer that would take less than 3 days to explain, but it got me thinking. Illustration has the ability to render what can’t be photographed and it should also have qualities that go beyond photography.